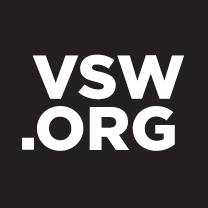 VSW is excited to offer a subscription to VSW Press. You will get the next four limited edition books we publish, as we publish them. This subscription price includes shipping and you will also receive bonus books we wish to give away. These limited edition books are priced between $30 and $50. This is a great deal and it’s a great way for you to support artists creating dynamic books, not to mention getting books in the mail is always fun. The visual book club subscription is limited to 75 subscribers. If you don’t like a title, you may exchange it for one of our back catalog books or extend your subscription for another VSW Press release. Contact the Bookstore Manager for more details. Start your subscription with our latest book 202 456-1111 by Jason Lazarus with an essay by Martha Rosler - photograms of the White House phone number, or with one of the recent VSW Press titles: Crystal Z Campbell's Go-Rilla Means War or Roberley Bell's Do You Know This Tree?. Titles in production now are Sage Lewis' Mars Analogues - a study of terrain and pattern via the desert and Mars, and the story of Angel Baby, a persona of artist printer Cynthia Marsh and her coming of age quest to meet Ed Ruscha. For subscriptions outside of the United States please contact us for a quote for shipping to your country.